Following in the footsteps of her dam 9882! 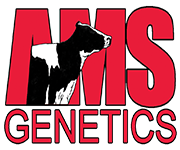 Several sons will be used as mating sires including Acura @ ABS, Pursuit @ Semex and more! & Granite in AI... WITH MORE TO COME! Genomic GIANT! Perhaps the most successful bull dam of the last decade! Various sons are being used as mating sires! 47 Sons have an NAAB CODE and more will FOLLOW! 4-06 3x 182d 21,061lbM 3.7% 3,347F 3.3% 693P inc.